RJ Power Rail (RJPR) has successfully installed, tested and commissioned, a replacement LVAC Technivel panel at Streatham substation, on behalf of Network Rail (NR). 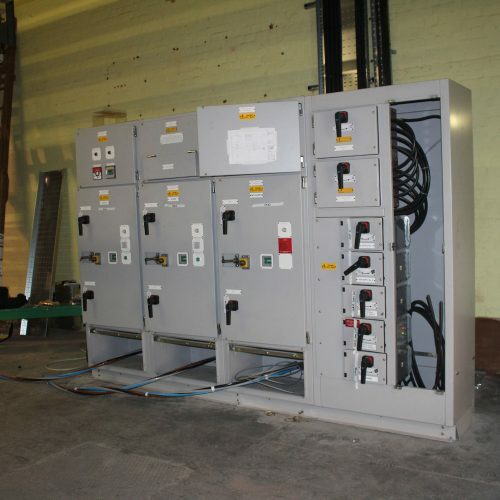 The rail team provided an outstanding design and build solution for this emergency LVAC panel replacement project, which came about as a result of a catastrophic failure to NR’s Allen West LVAC panel located in Streatham substation’s A rectifier room, which was being fed by 2No 415V supplies derived from the 33kv network and 1No 415V back up supply from the DNO. The proposed replacement Technivel LVAC panel was actually a decommissioned panel located in Lewisham substation and due to the serious nature of this failure, RJPR immediately mobilised in order to assess the condition and confirm the suitability of the pre-used Technivel panel. On confirmation, RJPR formed their design and constructability teams and within just 48 hours, met with NR to agree the action plan and commence their Form B E&P design. We are delighted to announce that all works were completed on time, to an exemplary standard and to the complete satisfaction of the client.